A year on, 48 young companies – many of them graduates of the bank’s fintech Accelerator programme, powered by Techstars – have made the hub their permanent home, cementing their relationships with Barclays and bringing their ideas into the bank’s ecosystem. Head of Rise London Magdalena Kron, who oversaw the move, said: “Since we opened our doors in May last year, Rise London has grown into the vibrant fintech hub we envisioned it to be. Our community is thriving and the value of being linked to the Rise global network is evident with companies outgrowing their office space every third month. We spoke to two graduates of the Accelerator – whose participation in the Accelerator programme and subsequent location at Rise London has led to significant growth for their businesses. Since joining the Accelerator in 2015, Cutover has grown its product from a prototype to an enterprise-ready platform, informed by trials across 20 areas of Barclays. The company’s tool is now used to support system upgrades, data centre resilience tests, platform migrations and structural reform programmes. When we first caught up with Cutover, in 2016, they were a growing business with 14 employees. Having followed Rise from Whitechapel to Shoreditch, the company now has a headcount of 26 and has opened an office at Rise New York. Cutover’s service – providing “human orchestration tools” to cut risk and cost from major projects and “critical change events”. As well as boosting their development through the Accelerator, Barclays has become a major client of Cutover, which also works with other major financial services organisations. In April, Barclays signed a multi-year enterprise agreement with Cutover, following increased adoption of their platform across the bank. Cutover’s CEO Ky Nichol says: “The Rise innovation function, created by Barclays, is a key piece of fintech market infrastructure. Our journey from the Barclays Accelerator through to enterprise vendor and strategic partner has been amazing. We’ve benefitted from mentoring and support from many of the business and technology teams." A year ago, when we asked Flux’s co-founder and CEO, Matty Cusden-Ross, “What’s next?” he said: “We’re now in the start-up phase and next is the growth phase.” Flux is “on a mission to digitise, automate and organise the world’s receipts”, connecting payments to bank apps and harnessing big data to help retailers and customers. In the last year, Flux has used Barclays’ Launchpad platform to test its technology on 10,000 customers. Already working with challenger banks Starling and Monzo, the potential for the Barclays trial – rolling out to five million customers as well as retailers served by Barclaycard – fits well for a company whose aim on joining the Accelerator was to “take what we’re learning and blow it up to get huge traction very quickly”. 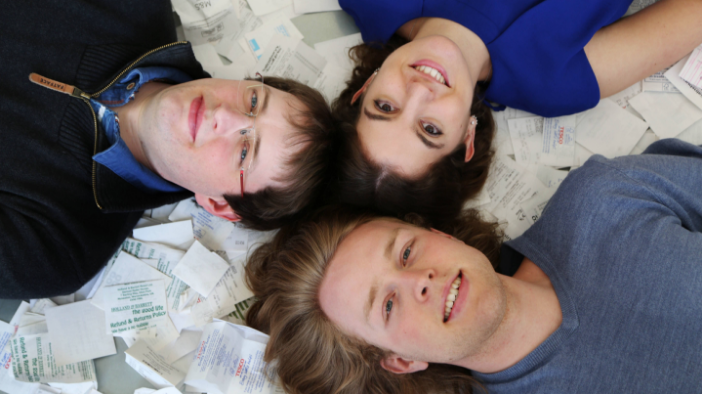 Flux’s youthful co-founders were named in Forbes magazine’s ‘30 under 30’ European technology stars, and the company became the first FCA-authorised Account Information Service Provider under the UK’s new Open Banking regulations. Cusden-Ross believes Flux “is the next biggest innovation for retail payments after contactless” – and the innovation was born at Rise.